Even though this year’s iPhone XI would most likely neither be 5G-based nor foldable, there are certainly other things that users can look forward to. Since the upcoming lineup is presumably going to comprise up of models with a few design changes, chances are that Apple will work on improving the existing features. One of those is apparently water resistance, as the Cupertino giant will apparently include an Underwater Mode in its future devices. 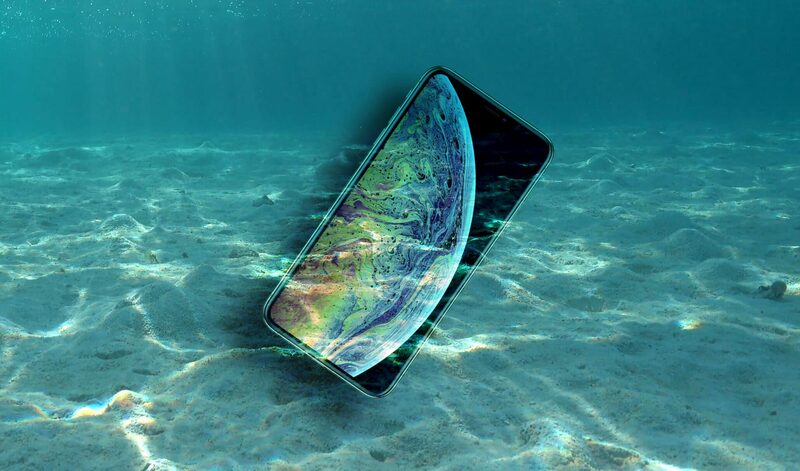 While almost all the latest flagships offer varying degrees of water resistance, none of them can actually work underwater as the screens aren’t waterproof. However, that could change with future iPhones as Apple is apparently working on a display that will work just fine even when it’s raining or if you are swimming. Currently, smartphones tend to confuse water droplets with a touch, which is why they behave erratically when your fingers are dripping water. Apple is reportedly working on a solution that will help iPhone detect where your fingers are touching the display even when it’s inside a water body. Apple filed a patent last year which also indicated that it’s working on a display that’s able to track finger in wet environments. However, whether such a touchscreen would be ready in time for iPhone XI, iPhone 11, or whatever Apple decides to call iPhone XS’ successor remains to be seen. Other than that, Apple is allegedly trying to improve its Haptic Engine, which is the technology that the company employs to create tactile feedback. The screens of the 2019 iPhones could presumably be divided into several regions to enable a precise vibration response. Apple is expected to release three iPhone models this year with the same screen size as this year’s models. At least one model is expected to feature a triple rear camera system, which will also include a Time of Flight (ToF) camera, allowing the phone to capture more depth information. Other rumors hint at a smaller notch and improved fast-charging technology through the implementation of a Type-C USB charging port. We will find out more as the launch date inches closer, so stay tuned for more information. As always, we recommend that you take this information with a pinch of salt, as we’ll be back with more concrete details in the future. SAMSUNG GALAXY S10 – Finally The Real Device!